Find the best package to suit your groups’ needs. Contact our expert yoga retreat planning team to discuss all the opportunities available for you and create unforgettable memories in Amorgos island.  Famous for being one of the top European yoga destinations, at Aegialis Hotel & Spa we offer a luxurious, 5-star experience for all our guests. We have been welcoming yoga retreats since 2011 and yogis from all over the world join us in Amorgos island for an unforgettable retreat experience. With 6 beautiful yoga shalas to choose from, complimentary yoga props and fresh delicious food, your retreat here will be of tranquillity and a unique experience. If you are a yoga teacher, meditation practitioner or lead any wellness practices and are interested in hosting your own retreat at Aegialis Hotel & Spa, great choice. We will be happy to welcome you to our beautiful island. Fresh food and locally grown vegetables, and we cater to your dietary preferences. My fave retreat location! I am about to lead my 4th yoga retreat at Aegialis, and cannot say enough about the beauty of the yoga studios, the unreal views, the incredible staff, and of course the magic of the island! The world is so big, and I usually don't re-visit locations, but I fell in love with Amorgos and Aegialis and have been back every year since! The food is so delish that I compare every meal all year long to the amazing fresh food of Aegialis, too! The local fish, the raw honey, the unbelievable olive oil! It's heaven! Highly recommend that you visit! We have been coming to aegialis for the past few years, my wife and I organize yoga retreats here and ever since the first time we could never go anywhere else, the locations is perfect the yoga facilities are modern and top notch we have everything we need for the duration of our retreat and our clientele are always so pleased and happy with what the hotel has to offer wether it's the delicious food the kind service the cleanliness you are sure to have a amazing experience. The Amorgian Experience – Amorgos is a favourite European destination when it comes to yoga retreats and the peaceful vibes of the island create a tranquil space for self-discovery, yoga, meditation and connection to the nature and the self. 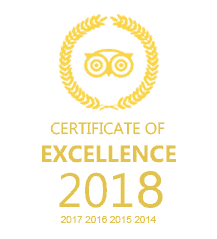 A unique retreat experience – With over 8 years’ of organising and hosting yoga retreats, we are here to provide you with the best experience for you and your retreat attendees. 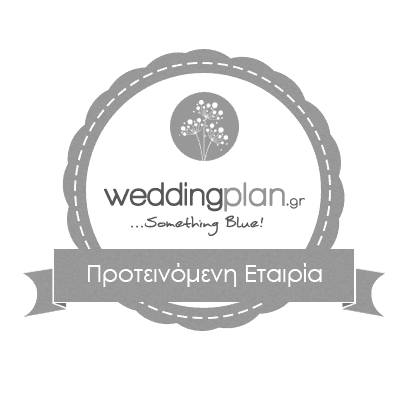 We know how it’s done and we will work together with you to create a unique time for your retreat in Amorgos island. Luxury and comfort – Experience true 5-star luxury in one of the most beautiful Greek islands. Located on a slight hill overseeing Aegiali Bay, Aegialis Hotel & Spa offers you a front row seat at sea views and the majestic mountainous landscape of the island. We offer a prime location, with only a short walk to the beach and the Aegiali shops. Customised packages – We offer packages to best cater your needs for a memorable experience. Discuss your retreat plan with our bookings team and create the best package for your group. Delicious fresh food – Our award-winning Ambrosia Gallery Restaurant is available for all our guests. An abundant breakfast buffet is served every morning, as well as lunch and dinner menus are available. We use fresh food and locally grown vegetables and a variety of spices grown in the island. We also offer vegetarian and vegan choices and we can cater for different dietary preferences. Group activities – Explore the beauty Amorgos island has to offer. We organise guided hiking tours, group visits to the cultural monuments of the island, Greek cooking and dancing lessons, the popular tender boat experience and other water sports for the adventure seekers and many other activities. Lalon Idor Spa – Relax, rejuvenate and pamper yourself at our Lalon Idor Spa complex. Our guests can enjoy complimentary use of the sauna, hamman, jacuzzi and the indoor salt-water pool, which comes with a water cannon and a flowing stream, a famous Instagram mark for our guests. Body treatments and wellness – Treat yourself to a full body massage, a refreshing facial and other body treatments available at Lalon Idor Spa. Pamper yourself with other beauty treatments, such as manicure, pedicures and enjoy a lovely hair treatment or new hair do at our hair salon. Gym – Located next to the Lalon Idor Spa, our guests can enjoy complimentary use of the gym area. Marketing support – Your retreat will be posted on our website in the “Yoga” section and our active social media team can post about it on our social media channels. Customised packages – We offer all-inclusive packages to best cater your needs for a memorable experience. Discuss your retreat plan with our bookings team and create the best package for your group. Our unique quality is that this center was designed and built by yoga teachers specifically to offer the teaching, practice and living elements of yoga and good health. We are happy to share that with other genuine and interested parties. We welcome you as a teacher with tradition, sincerity and integrity who may want to use our special place for your retreats. Yoga props: mats, bolsters, blankets, straps, blocks, eye pillows, slings, aerial hammocks, small fitness balls, pole dancing equipment, installation for wall yoga,Tibetan chimes, singing bowls, candles, incense sticks. Transfers to and from the hotel. Experience the comfort and stylish experience of 5-star luxury. At Aegialis Hotel & Spa, all rooms have sea views and come with a private balcony or veranda. Extend your stay with us and enjoy some extra time relaxing in Amorgos. Discover the tasty experience of the Amorgian delicious food at our award-winning Ambrosia Gallery Restaurant, we can cater to your specific dietary requirements. The food is fresh, and rich in taste, using Amorgian herbs. QUESTIONS ON HOSTING A RETREAT? A deposit of 1000€ is required upon booking, in order to be confirmed. Will other groups be there at the same time? Even if other groups will be here at the same time, the complex is spacious and all services provided are of high quality. Which shala will be provided for the retreat? We have 6 beautiful shalas with stunning sea views available and determination of shalas depends on number of participants and lesson hours of each group being here in the same period. Around 1-2 months in advance, we request from you to fill in our pre-arrival group with all the details of your program. The famous Aegialis rooftop area is also available for sunrise and sunset sessions, but should be booked in advance as it is a very popular spot. Yoga equipment is provided for all our shalas (mats, bolsters, blankets, straps, pair of blocks, eye pillows, slings, aerial hammocks, small fitness balls, pole dancing equipment, installation for wall yoga). We can also organize Tibetan chimes, candles, Tibetan singing bowls and incense sticks. If there is anything else you require for your group, please let us know. If someone would like to stay more days than the retreat ones, is that possible? Yes, this happens often and we love it when guests want to extend their stay. Please advise our bookings team in advance to ensure there is availability for your desired dates, as special rates are offered for this occasion, always depending on availability. What is included in the package usually offered? All packages vary depending on each group’s needs. Please organize your package with our bookings team, and specify how many meals per day you would like included- this is breakfast, lunch and dinner. Activities around the island can also be organized for your group at an extra cost, depending on number of attendees and type of activity. Visit our activities page to see the different ones you can choose from. For cancellations, specific dates are mentioned in order to allow teachers to release rooms without any cancellation fees to apply. This can be discussed with our bookings team. The payment can be done in 3 instalments. The first is the deposit of 1000 euros which is required at the time you make the booking in order to reserve it. Until a specific date discussed with our bookings team, the deposit can be refundable. The other 2 installments depend on the period that a teacher will reserve for their retreat and the period the retreat will take place. Do you offer transfers to the hotel? Usually arrival and departure transfers in Amorgos are included in your package. In case you would like any other transfers on the island during your stay, it will be our pleasure to send you costs, as per your request. How do we come to Amorgos? As the easternmost island of the Cycladic region, Amorgos can only be reached by boat. There are two ports on the island, Aegiali and Katapola. Ferries depart from Athens or/and from other islands, depending on the season, as from end of May to end of September, more ferry connections are available. Schedule of the ferries can be found online: www.openseas.gr and both ports have to be chosen in order to find all options. Is there internet available at the hotel? Yes, all our guests can enjoy complimentary WI-FI at the hotel premises. We are a family friendly hotel and children are welcome.Please advise our bookings team at the time of your reservation, in order to inform you about available room types and costs. Do you have babysitting services available? Yes, we do. Cost depends on the age of the child and the times that you would like services to be provided. Yes, at our Lalon Idor Spa complex we provide a variety of face and body treatments. We have a team of highly qualified massage therapists and bookings can be made prior to your arrival or during your stay. On some occasions we can allow space for pets, however this needs to be arranged at the time of your booking, Kindly note that pets are not allowed in our restaurants and the spa areas. The medical booklet is needed in any case and pet has to be on its leash when being outside of the room. Can I smoke or drink alcoholic beverages in my room? All the hotel rooms are smoke free, however if you wish to smoke outside on your private balcony or veranda, you may do so. Alcoholic beverages are served at the hotel restaurant and outdoor bar also, but you can order in your room as well. Are the meals included in my retreat? Usually we offer a Half Board plan, which means breakfast and dinner daily. But Full Board option (breakfast, lunch and dinner) is offered as well. Everything depends on your needs. At Ambrosia Gallery Restaurant we offer a variety of foods, including vegetarian and vegan. We can also cater for different dietary preferences and allergies. Please advise our bookings team at the time of your booking if you have any specific dietary requirements. Do you serve coffee and tea? Yes we serve both. There is a variety of herbal teas available and we have a wonderful barista team who make delicious coffee. Prices are outlined on the menu or you can ask one of our friendly staff. Do you cater special food requirements? Yes, we can certainly accommodate your dietary preferences. Our award-winning restaurant “Ambrosia” offers an abundance of fresh food and locally grown vegetables with a tasty traditional Greek menu. If you have a specific dietary requirement, please advise our bookings team in advance so our resident chef can prepare your meal to suit your needs. *please note that the whole group has to eat together at the same time. READY TO HOST YOUR OWN RETREAT? Our expert retreat planning team will guide you through all the opportunities available for you and create unforgettable memories in Amorgos island.